The shift in political and military alliances is not limited to Turkey, a profound shift in geopolitical alliances is occurring which tends to undermine US hegemony in the broader Middle East Central Asian region as well as in South Asia. Turkey –which constitutes NATO’s heavyweight– is now fighting US-supported Kurdish rebels in northern Syria, –i.e the US which is member of NATO is supporting and financing Kurdish rebels who are fighting a NATO member state. While Turkey formally remains a member of NATO –which has an integrated and coordinated air defense system–, the Erdogan government has purchased Russia’s S400 air defense system which is slated to be used against America’s Kurdish proxies in Northern Syria. A NATO member state is now using the air defense system of an enemy of US-NATO against US-NATO supported rebels. In turn, Turkey has dispatched troops to Northern Syria with a view to eventually annexing part of Syria’s territory. In turn, Moscow and Ankara have established an alliance of convenience. Israel is a firm supporter of the formation of a Kurdish state in Iraq and Northern Syria, which is considered as a stepping stone to the formation of Greater Israel. Tel Aviv is considering the relocation from Israel of more than 200,000 Jewish ethnic Kurds to the Kurdistan region of Iraq. In turn the bilateral military cooperation agreement between Turkey and Israel is in jeopardy. Needless to say these developments have also led to the reinforcement of US-Israeli military cooperation including the setting up of a US military base in Israel. Meanwhile, Turkey has established closer links with Iran, which ultimately contributes to undermining US-NATO strategies in the broader Middle East. 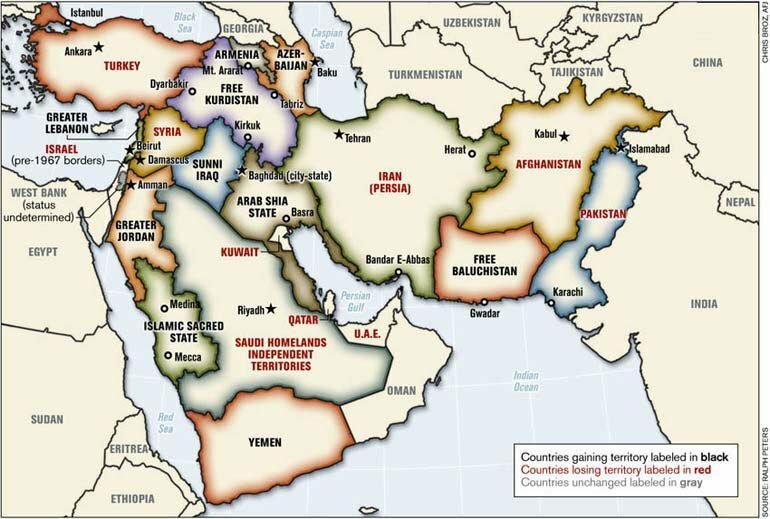 Since the Gulf war (1991), the Pentagon has contemplated the creation of a “Free Kurdistan” which would include the annexation of parts of Iraq, Syria and Iran as well as Turkey (see US military academy map below). Under these circumstances, will Turkey remain an active member of NATO? Saudi Arabia’s economic blockade directed against Qatar has created a rift in geopolitical alliances which has served to weaken the US in the Persian Gulf. The Gulf Cooperation Council (GCC) is profoundly divided, with the UAE and Bahrain siding with Saudi Arabia against Qatar. In turn Qatar has the support of Oman and Kuwait. Needless to say, the GCC which until recently was America’s staunchest Middle East ally against Iran is in total disarray. While the largest US military base in the Middle East is located in Qatar, the Qatari government has close links to Iran. Moreover, Tehran came to its rescue in the immediate wake of the Saudi blockade. 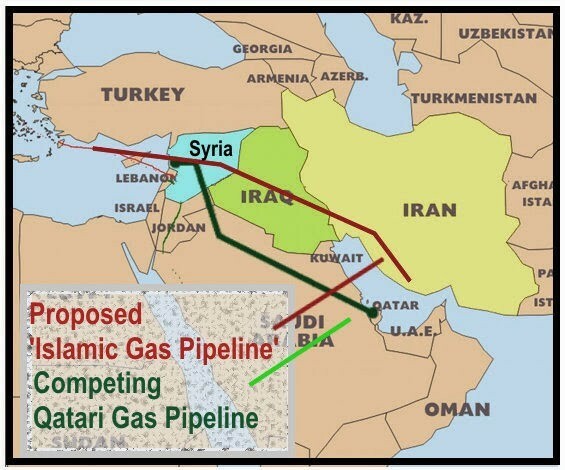 While US Central Command (USCENTCOM) has it’s headquarters at a US military base outside Doha, Qatar’s main partner in the oil and gas industry including pipelines is Iran. In turn, both Russia and China are actively involved in the Qatari oil and gas industry. Iran and Qatar cooperate actively in the extraction of maritime natural gas under a joint Qatar-Iran ownership structure. 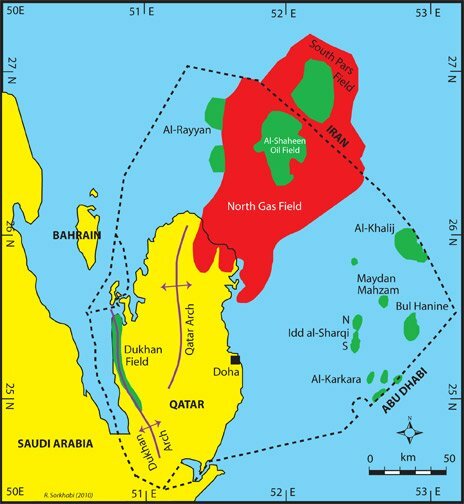 These maritime gas fields are strategic, they constitute the World’s largest maritime gas reserves located in the Persian Gulf. In other words, while actively cooperating with Iran, Qatar has a military cooperation agreement with the US, which in practice is directed against Iran. US Central Command based in Qatar is responsible for military operations against enemies of US-NATO including Iran, which happens to be Qatar’s main partner in the oil and gas industry. The structure of these cross-cutting alliances is contradictory. Will the US Seek regime change in Qatar? Meanwhile, Turkey has established a military base in Qatar. These new alignments also have a direct bearing on oil and gas pipeline routes. 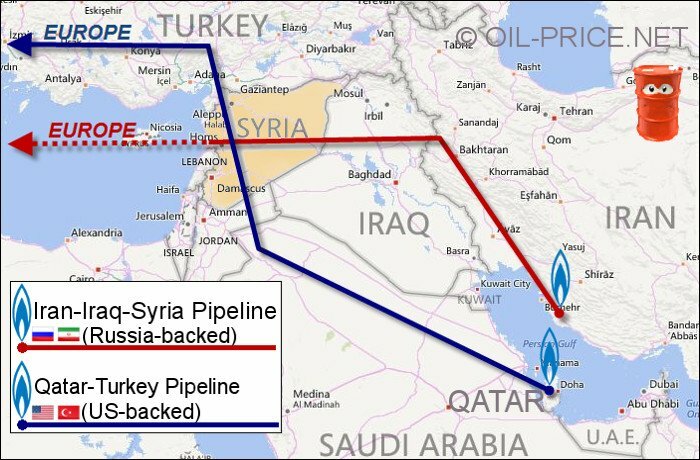 Qatar has abandoned the pipeline route project through Saudi Arabia and Jordan (initially sponsored by Turkey) in favor of the Iran based pipeline route out of Asuleyeh through Iran, Iraq and Syria, which is supported by Russia. Russia’s geopolitical control over gas pipelines going to Europe has been reinforced as a result of the Saudi blockade. 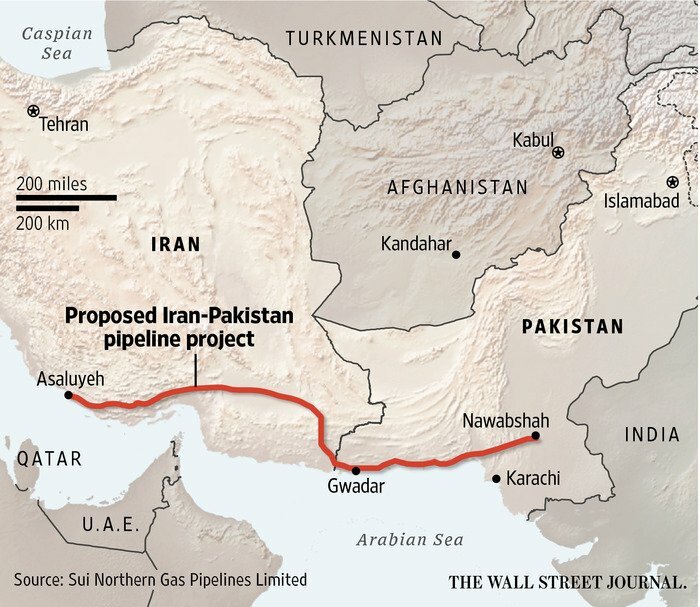 In turn, Qatar is also slated to integrate the pipeline routes linking Iran to Pakistan and China via Iran’s port of Asaluyeh. Another major shift in geopolitical relations has occurred, which has a profound impact on US hegemony in both Central and South Asia. On June 9, 2017, both India and Pakistan became simultaneously members of the Shanghai Cooperation Organization (SCO), the Eurasian economic, political and mutual security organization largely dominated by China and Russia. Needless to say, the membership of India and Pakistan in the SCO affects their military cooperation agreements with the US. While the SCO with headquarters in Beijing is not officially a “military alliance”, it nonetheless serves as a geopolitical and strategic “counterweight” to US-NATO and its allies. In the course of the last few years, the SCO has extended its cooperation in military affairs and intelligence. War games were held under the auspices of the SCO. 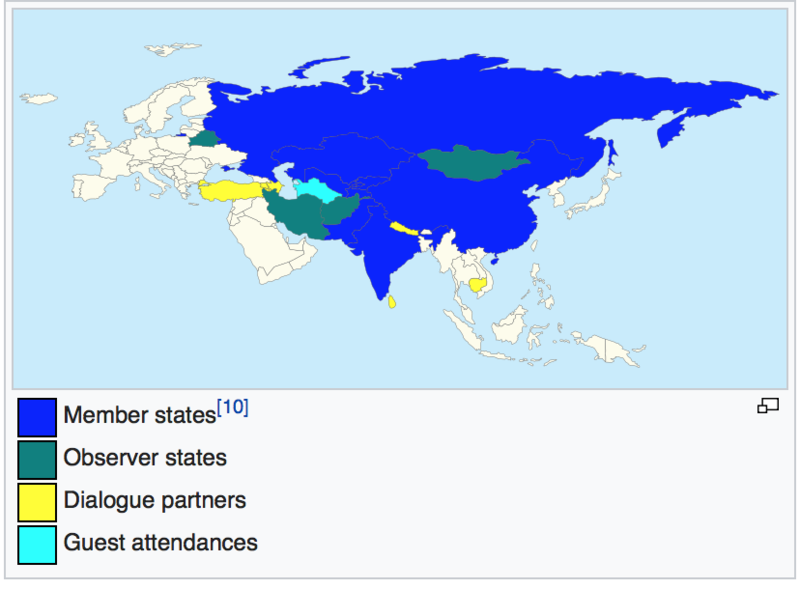 With Pakistan and India as full members, the SCO now encompasses an extensive region which now comprises approximately half of the World’s population. In other words, this enlargement of the SCO weakens America’s hegemonic ambitions in both South Asia and the broader Eurasian region. It also has a bearing on energy pipeline routes, transport corridors, borders and mutual security, maritime rights. Pakistan’s full membership of the SCO, its links with China and Iran should contribute to reinforcing the powers of the Islamabad government. History tells us that the structure of political alliances is fundamental. What is unfolding is a series of contradictory cross-cutting coalitions both “with” the US as well “against” the US. We are witnessing shifts in political and military alliances which largely contribute to weakening US hegemony in Asia and the Middle East. Is Turkey intent upon opting out of NATO? It’s bilateral relationship with Washington is in disarray. Meanwhile, the Gulf Cooperation Council (GCC) which constitutes America’s staunchest ally in the Middle East is no longer functional. Qatar has not only aligned itself with Iran, it is actively cooperating with Russia. In turn, America’s bilateral military cooperation agreements with both Pakistan and India are also affected following the accession of both countries to the SCO, which constitutes a de facto military alliance dominated by China and Russia. 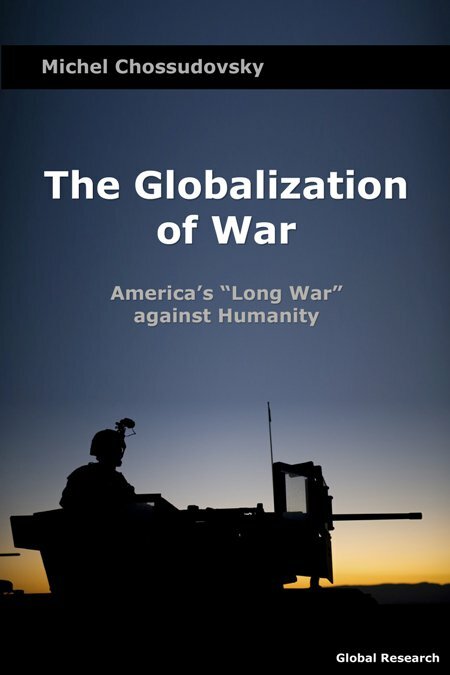 The Globaliz ation of War is undoubtedly one of the most important books on the contemporary global situation produced in recent years.